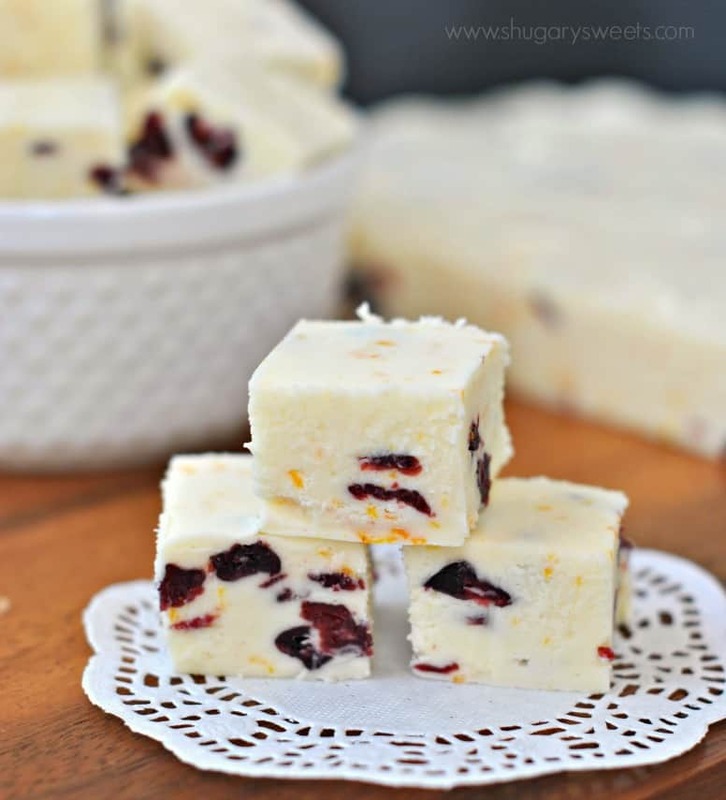 Cranberry Orange Fudge: this is a delicious sweet treat for any time of year! 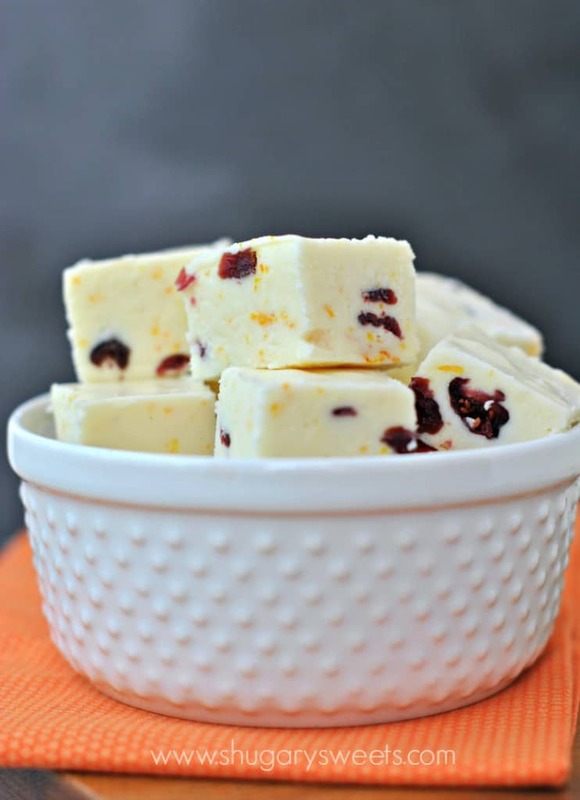 Craisins and orange zest give this soft, sweet fudge a kick of flavor! 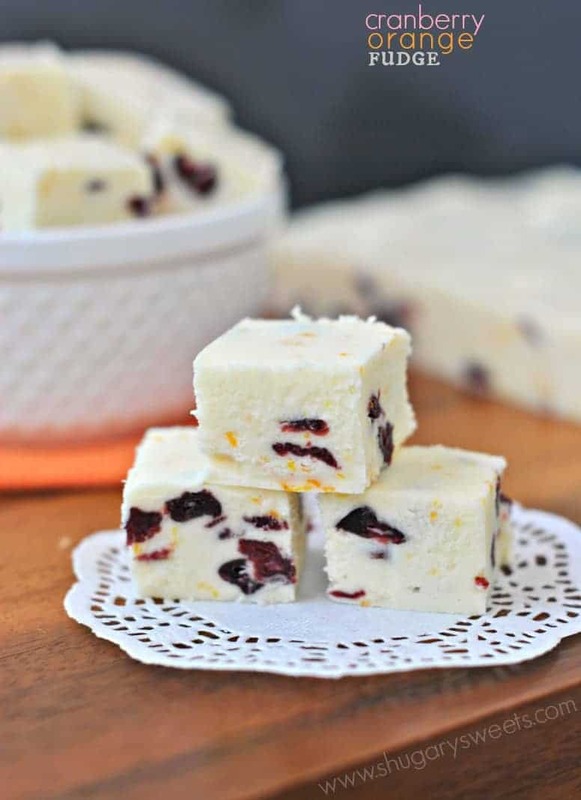 Let’s grab a few extra minutes of summer with this Cranberry Orange Fudge. It’s like summer in every delicious bite! Seriously, where did the summer go? Not to be a big fat whiner…but where did the summer go? Mine was filled with packing, moving, unpacking. Painting, cleaning, painting. And now, here we are almost done with our first week of school, and I’m one of those people. Old people. LOL!!! I’m an old person. Reminding you young people to enjoy it cause it goes fast. I used to get annoyed when people would tell me to enjoy the time when they are young. And these people would like to conveniently tell me that when I have one child throwing a tantrum in the grocery store, while another has a blow out in their diaper, and I’m 9 months pregnant. Yeah. Enjoy it. Because you forget about the diaper mess. You remember the cute smiles, the little hands, the cuddles, the artwork, the adorable questions. That’s what you remember. So enjoy it. Wow. Not sure where all that came from or how it even relates to today’s fudge recipe, but I guess a little nostalgia came over me. I too can get sentimental at times. And when I do, I turn to fudge. (that should be my motto. or tagline. or nevermind, just ignore me). How about we talk about this fudge? It’s soft. Creamy. Filled with chewy craisins and the perfect hint of orange. It’s so good you guys. No need to wait until the holiday’s to make this fudge, I think any day of the year is perfect to enjoy the moment. Ha. There it is? Enjoy the moment. That was the point of my story above. Head on over to Food Fanatic where I’m the candy contributor over there! I’ve got loads more recipes for you to peruse. And be sure to check out my guide for how to make fudge for plenty of fudge-making tips! So true about remembering the good stuff! But really, who wants to remember diapers? I’m gonna throw a party when my youngest is potty trained. This fudge is so great! Love the flavors. I’ve never had cranberry orange fudge! Thanks for another amazing idea! You are truly blessed to be able to experience motherhood. Some of us are not as fortunate… So yes, treasure every single moment with your young ones. I love this fudge! Orange and cranberry pair perfectly. I’m looking forward to more great recipes from you. Such a true reminder Jen! Thanks Heather, my mind is always swirling with delicious ideas!! 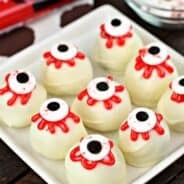 I am going to make this for holiday gift giving. The colors are beautiful and will stand out from all the chocolate fudges. It will look great with all the chocolate candy for sure!! ENJOY! Yay! Fudge!! Why wait for the holidays?! I’m thinking of adding pistachios as well! Thanks for sharing this one! Pistachios would be a delicious addition to this fudge!! I know you said not to wait for the holidays, but I can’t help but think of Thanksgiving. I’m DEFINITELY making this for our family dinner! Sometimes I get so annoyed when people say that kind of stuff to me but then sometimes it really gets inside my brain and helps me be patient with my kids when they’re all running is separate directions and TOUCHING EVERYTHING at the store. The fudge looks awesome. Cranberry orange is my fave holiday flavor so I’ll definitely be making this in a few months! You’re not old, lol. You just started having kids young. 🙂 Love the fudge, of course! That is a ridiculously good answer, that I will be using more regularly 🙂 Thanks Dorothy! Does it have to be Heavy cream? Can you use regular whipping cream? The official candy contributor.. very fancy Aimee! And I would probably be one of the people who you would tell to “enjoy it now”! Thanks for the reminder and delicious recipe! Never would have thought to put those summer ingredients into fudge! I’m right with you, old! It does go quick but each day with my daughter always seems better than the last. It is amazing how I can love her a little more each day even though that day I think it isn’t possible to love anyone more. I can just imagine I would feel the same about this fudge. This is a fantastic flavor combination. They do get big so fast! I’ve blinked and Lucy is almost 2 and Jon David is 10 next month. 🙁 This fudge! I need to drown my sorrows in it. I hear ya on the kids growing up in the blink of an eye! Lately I feel like I have said that to a few younger moms. It really does go so fast…I used to scoff when people told me that years ago. Now I want to cry when I think about all the things I rushed through just because I didn’t have the patience. I’m thinking I need to join Kristan in drowning my sorrows in fudge!!! Oh, you had me at Cranberry Orange, yum! Random Question: What does the Marshmallow fluff do? Is there anything I could sub for it (I really don’t like marshmallows, I know I’m weird!)? BTW: this looks delicious!! I’m going to try and make it this weekend! 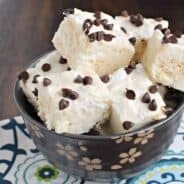 Just made your fudge this morning and it is awesome! Christmas in a bite!! I’ll be adding this to my teachers tin gifts. Thanks! 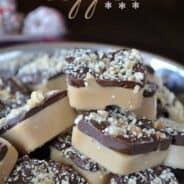 This fudge is on my list of “to make” today! how funny!